Will Marvel ever get the movie rights to all the characters back? Stan Lee says yes. Marvel has a huge cache of characters and a hugely successful movie run. But the question remains: when will the rights to fan-favorites like Wolverine and the Fantastic Four return to Marvel? 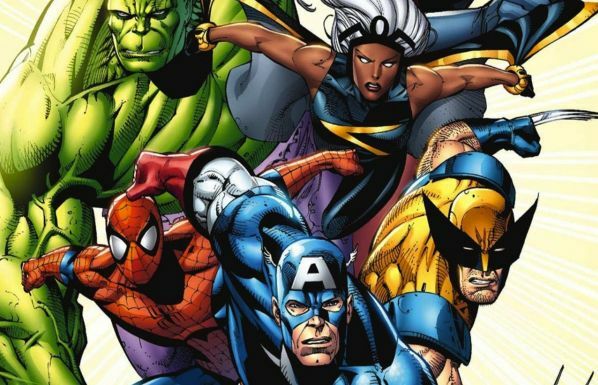 Back in the 90s Marvel sold the movie rights to X-Men, Fantastic Four and related characters to other movie studios. The movies have done well and some, like the Wolverine movies, have been cash cows. Others, like the Fantastic Four, have been duds. Now that Marvel secured a deal to bring Spider-Man into the Marvel Cinematic Universe (MCU) could the rights to the rest of the characters be far behind? While Kevin Feige, president of Marvel Studios, has said the MCU is too full to support the Fantastic Four or the X-Men characters. "[We have] no plans with the Fantastic Four right now," Feige told AlloCiné in a Facebook video. "No discussions about it." But someone suggests otherwise. Stan Lee is the co-creator of characters like Sider-Man, The Incredible Hulk, X-Men, The Fantastic Four, Iron Man, and hundreds of others. While Lee is retired from Marvel he currently remains Chairman Emeritus of Marvel, as well as a member of the Editorial Board of Marvel Comics. Speaking at Wizard World Nashville Comic-Con 2017 Stan Lee made a bold prediction. "Sooner or later, they’re going to get the rights back to all our characters," he said, "They’re working on it, and they’re still making X-Men movies and stuff. Don’t worry about it. You’ll get more Marvel superheroes than you’ll have time to look at in the next few years." What makes Lee's comment so exciting are the words "in the next few years". With the MCU packed with films over the next few years, where would the characters fit? Stan Lee may not have inside knowledge of negotiations, but the reality is that Marvel has to be pursuing the rights. We'll find out eventually. So the next time you see a promo for Avengers imagine Wolverine popping his claws out. It may just be coming in the next few years. What do you think of Stan Lee's prediction? Do you want the X-Men and Fantastic Four in the MCU? It is pretty crowded already but the Fox XMen movies are not that good. Some are hit and miss. The original X-Men is still one of my favorites. On the other hand X-Men: Apocalypse was terrible. I think the current X-Men movies are excellent. You know if they got them all under one roof, that would mean a ton more reboots. And I've just about had my fill of reboots. Good point Alex, although I like how they pushed Spider-Man's origin a bit. So maybe they could do that with Wolverine for example.